So, upsides and downsides. Downside: it's Monday. Upside: it's October. Downside: the weekend is really far away. Upside: I have gaming already lined up for said weekend. Downside: I was reaaally comfy this morning and didn't want to get out of bed. Upside: It's been a pretty decent morning, so far, with some really great e-mails in my inbox on some really cool projects I'm helping out with. Also upside: we've got some terrain articles for you. Also, also upside: After the first "downside/upside," my mental narration turned into Tom Bodett's voice, a-la Good Idea/Bad Idea. 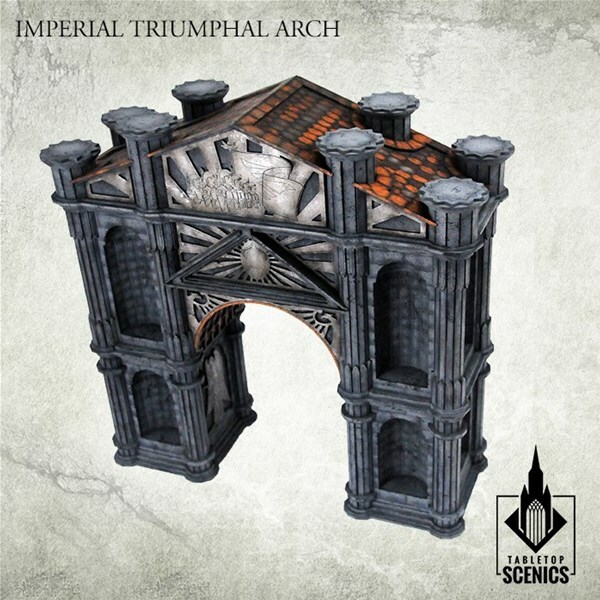 Today in the Terrain Corner we have: New Plastic Church Terrain From Warlord Games, Darkburg Gaming Mat Available From Pwork Wargames, and New Triumphal Arch Available From Tabletop Scenics. 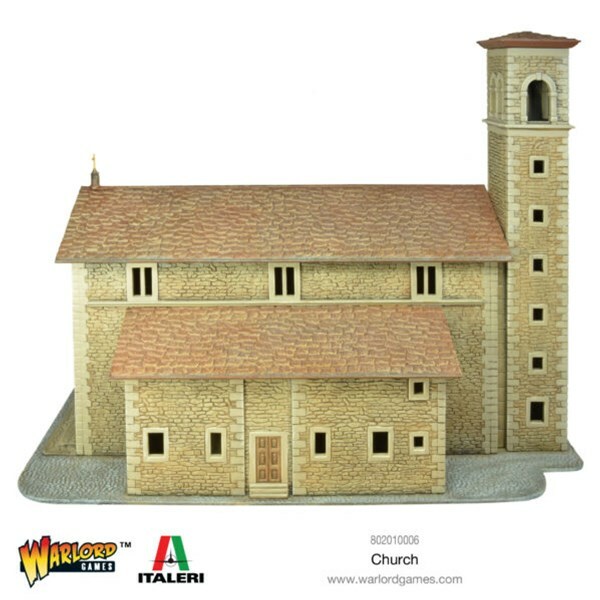 Religious edifices such as this stone church have been found in towns and villages around the world for centuries. 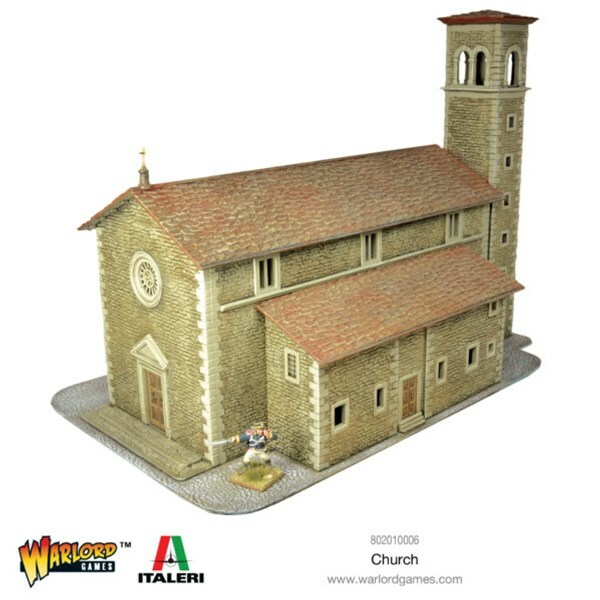 Places of worship but also of sanctuary during testing times, the Church was the focal point of the community. Darkburg! Fantasy Gaming Mat from Pwork Wargames! 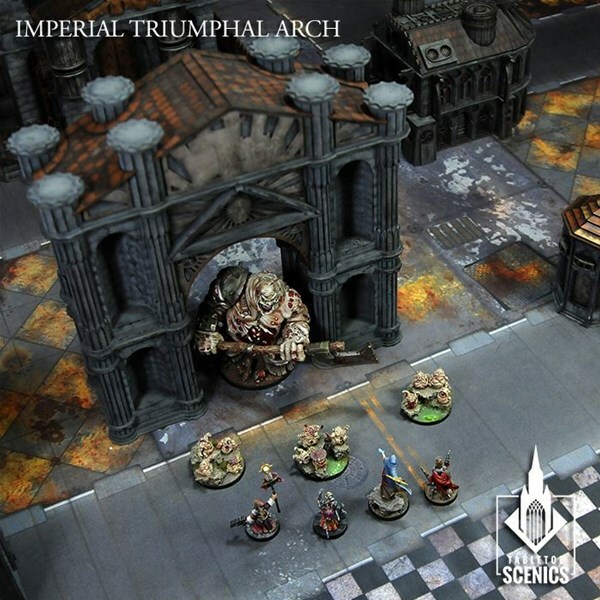 Play your battles across a broken town, among whose deserted streets and spectral buildings can hide any kind of danger, among winding streets, dark corners and crumbled buildings! Available size: 4x6' / 4x4' / 3x3' / 3x6' / 22x30"